March 12, 2016 - Iron Maiden's private/branded 747—dubbed Ed Force One, a reference to the bands longtime mascot, Eddie—was badly damaged in a runway accident at Merino Benítez International Airport in Chile this morning. The band, which is in the midst of the South American leg of its Book of Souls world tour, revealed that none of its members and equipment were on board at the time, and later said it was in the process of making contingency plans to get to their show in Cordoba, Argentina, scheduled for March 13. The incident occurred when Ed Force One was tethered to a tow truck and being taken for refueling. Apparently, the steering pin that is part of the mechanism that connects the ground tug to the 747 fell out. As a result, the aircraft had no steering and collided with the ground tug, badly damaging the undercarriage and two of the plane's four engines. Two ground tug operators were injured, but both are expected to make a complete recovery. The band, which performed at Santiagos Estadio Nacional Julio Martínez Prádanos on Friday night, said in a statement: The flight engineers are on site and evaluating the damage, but their initial report is that the engines have suffered large damage and will require an extended period of maintenance and possibly two new engines. On its Facebook page, the band cheekily updated the graphic advertising the Cordoba show—replacing Ed Force One with an Iron Maiden-branded bus. An investigation into the incident has been launched by Chiles Departamento Prevención de Accidentes. Ed Force One is typically piloted by Iron Maiden's frontman Bruce Dickinson. 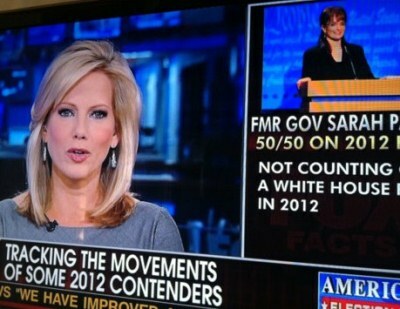 Fox News Fail: Fey Photo Displayed During Palin Report—During a segment on Fox News employee Sarah Palin, the network displayed a photo of Tina Fey imitating the former Republican vice presidential candidate. 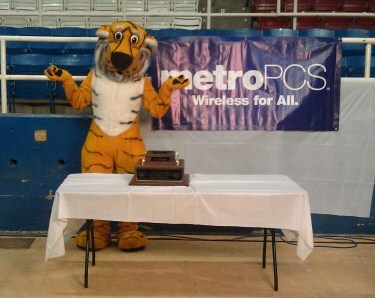 Truman the Tiger Fumbles Independence Bowl Trophy—Mascot fail: Truman the Tiger drops, shatters the 2011 Independence Bowl trophy.